Oh super, more custard! A chance to use up a fraction of the 13 egg whites in the freezer (all from Bake Off), although it is advisable to freeze them individually rather than try and hack 23% off a frozen block of albumen. But anyway, to sum up – really quite nice, I could eat the coffee custard all day long and the little ganache swirls make it look much more fancy than it really is. Had a slight bother trying to find blanched hazelnuts, which I eventually found in Waitrose. Why go anywhere else?! 1. 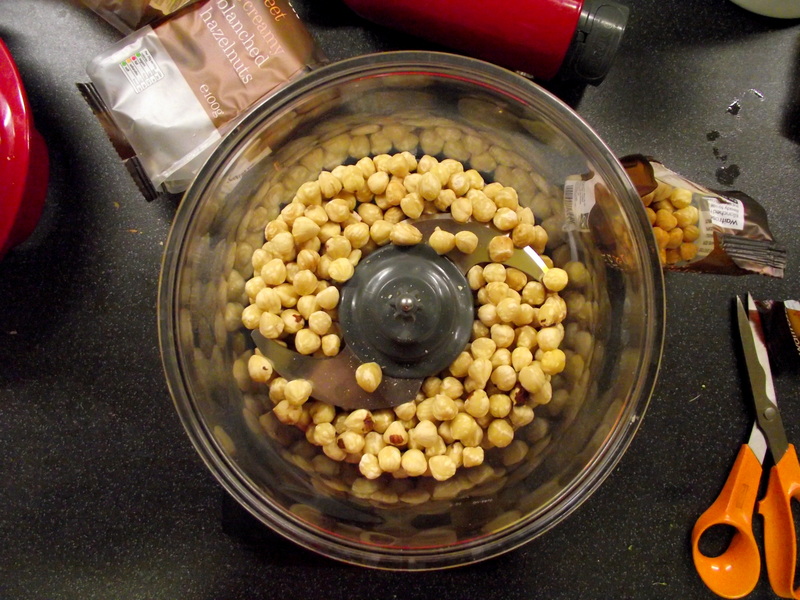 Place the hazelnuts in a food processor and blend until coarsely ground. Spread out onto a baking tray and toast at 180C until golden brown, stirring every 3 minutes. Set aside to cool, then mix in 100g of the sugar and the cornflour. 2. Turn the oven down to 150C. Line three baking sheets with nonstick paper, and draw a 21cm circle on each one. In a large bowl, whisk the egg whites and salt for about 2 minutes until white and frothy. 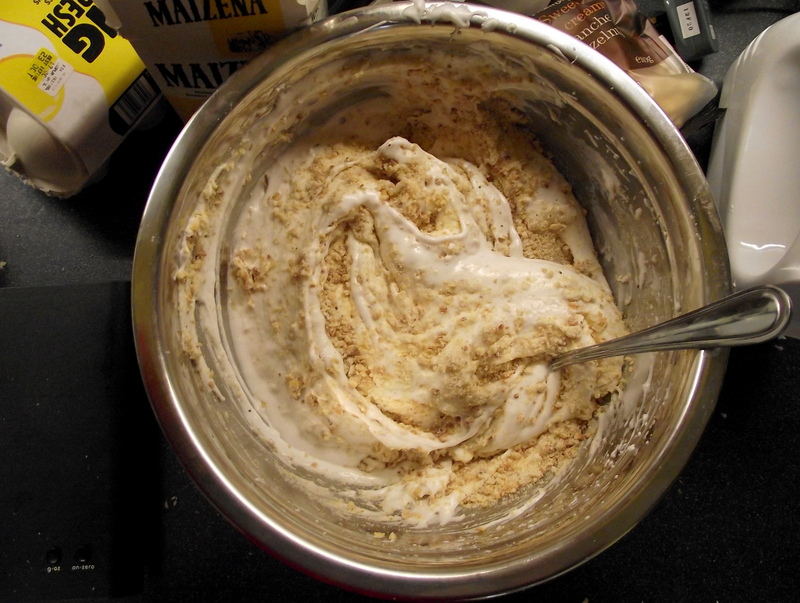 Continue whisking and add the remaining 200g of sugar, one tablespoon at a time, until stiff and glossy. 3. 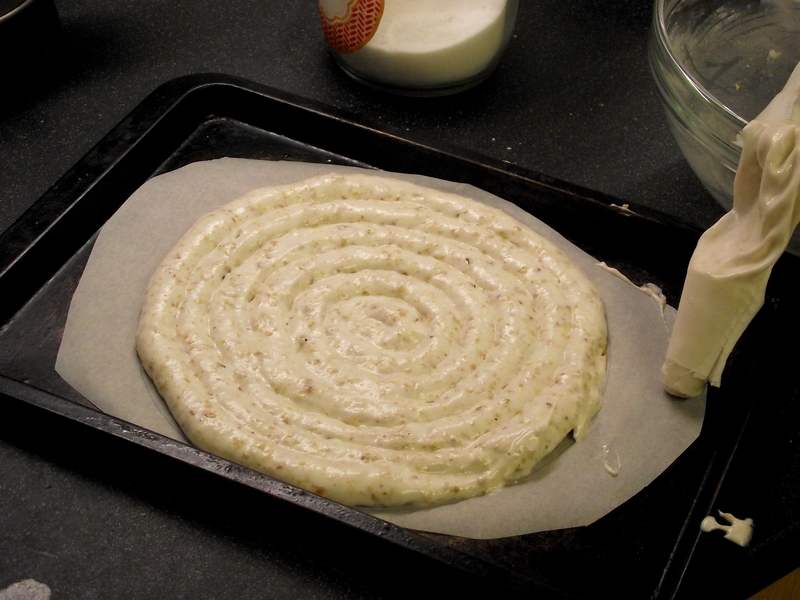 Fold in the hazelnut mixture, and transfer to a piping bag fitted with a 1.5cm round nozzle. Starting in the centre of each circle, pipe 3 spirals of meringue onto the prepared baking sheets. Bake for one hour, rotating the trays at least once to ensure they cook evenly. Turn off the oven and leave the meringues inside to cool with the door open. 4. 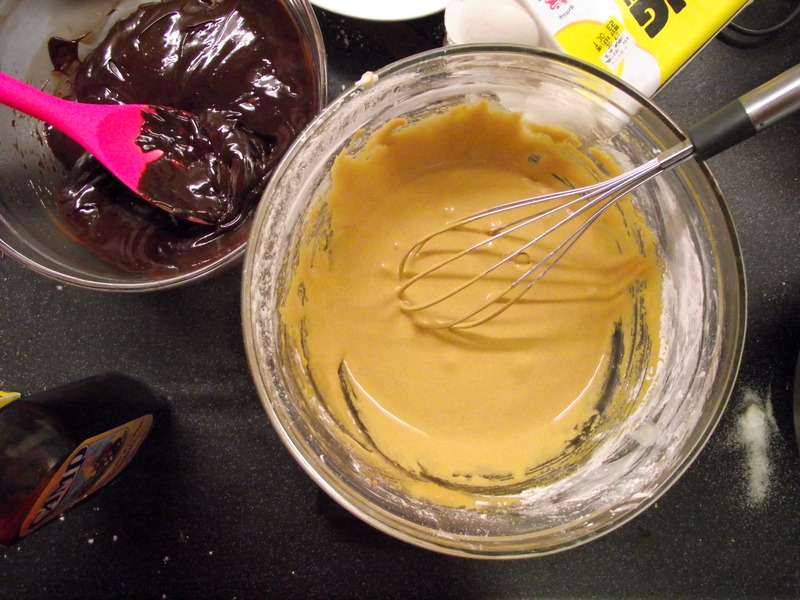 To make the ganache, finely chop the chocolate and place in a bowl. Heat the cream to boiling point then pour over the chocolate, stirring until completely smooth. Leave to chill and thicken to a stiff piping consistency. 5. Make the custard by gently heating the milk to boiling point in a large, heavy bottomed pan. In a bowl, whisk together the egg yolks, sugar and coffee essence, followed by the cornflour, one spoon at a time. Pour over the hot milk, whisking continuously, then return to the pan and simmer for 2-3 minutes until very thick. Cover the top of the custard with cling film to prevent a skin forming and leave to cool completely. 6. 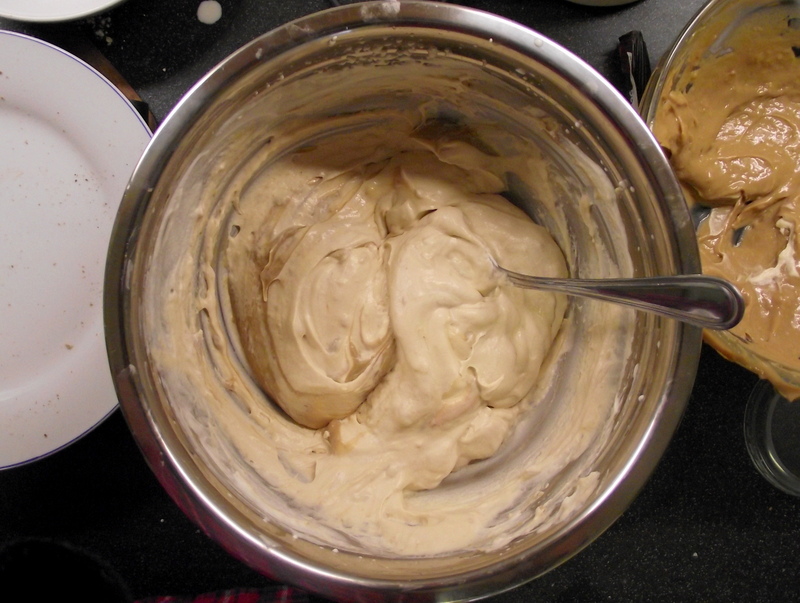 Whisk the whipping cream to soft peaks, then fold in the coffee mixture one half at a time. 7. 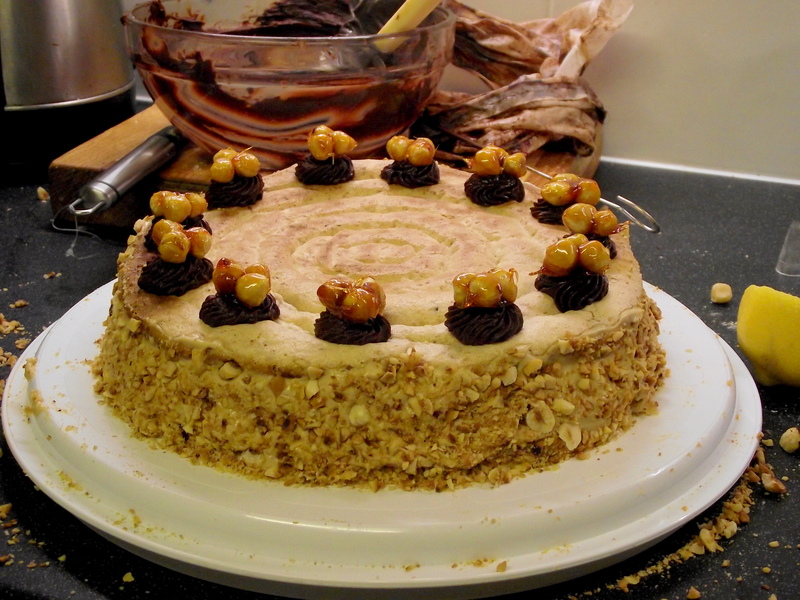 To make the praline, line a baking sheet with nonstick paper. Melt the sugar in a small frying pan until it turns golden brown. 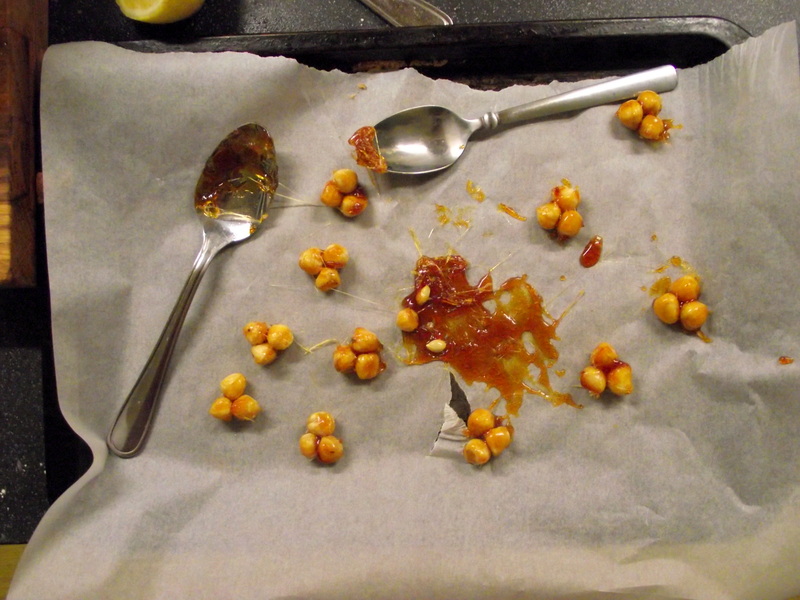 Add the lemon juice and hazelnuts, stir well and tip out onto the tray. Working quickly, cluster the hazelnuts in groups of three. If the caramel sets too quickly, return to the pan and warm gently to melt it. 8. 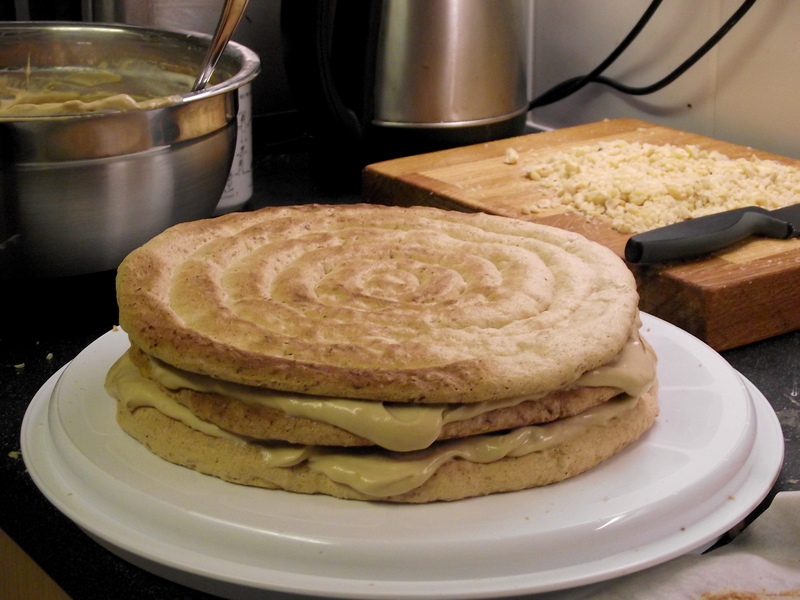 To assemble, spread the bottom meringue disc with a thick layer of coffee custard. Repeat with the next layer, and top with the best looking meringue. 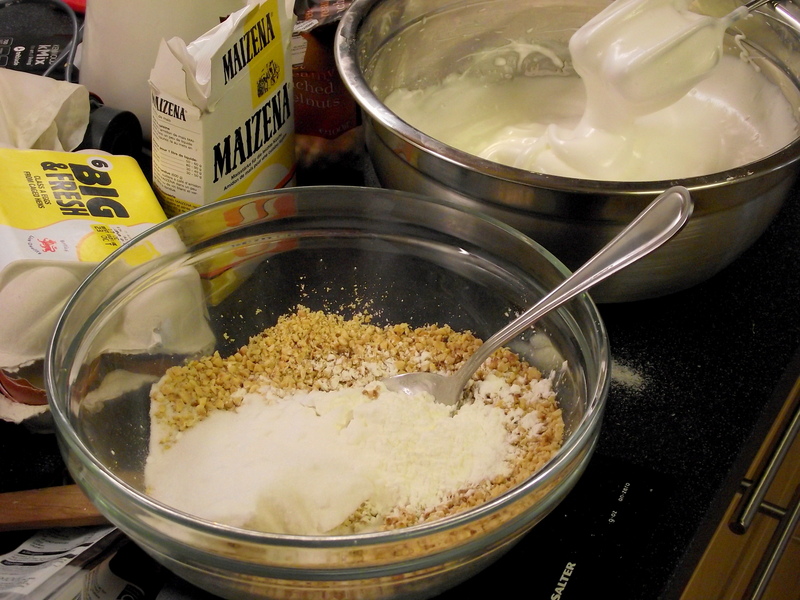 Spread the rest of the custard around the sides, and press the toasted hazelnuts onto it. Using a star shaped tip, pipe 12 ganache swirls around the edge of the dacquoise, and top each one with a praline cluster. Update: 9. Serve to your beautiful friends (and creepy bf). looks Gorge! You are braver than me kiddo, I decided not to attempt it! 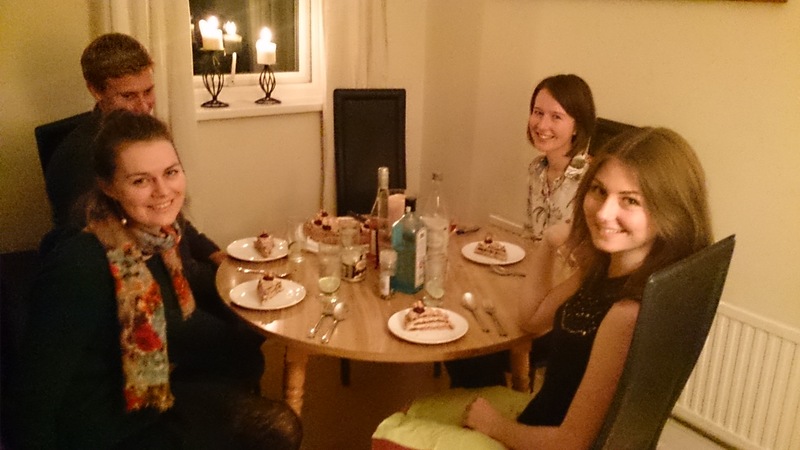 Where is the photo of your gorgeous friends eating it? 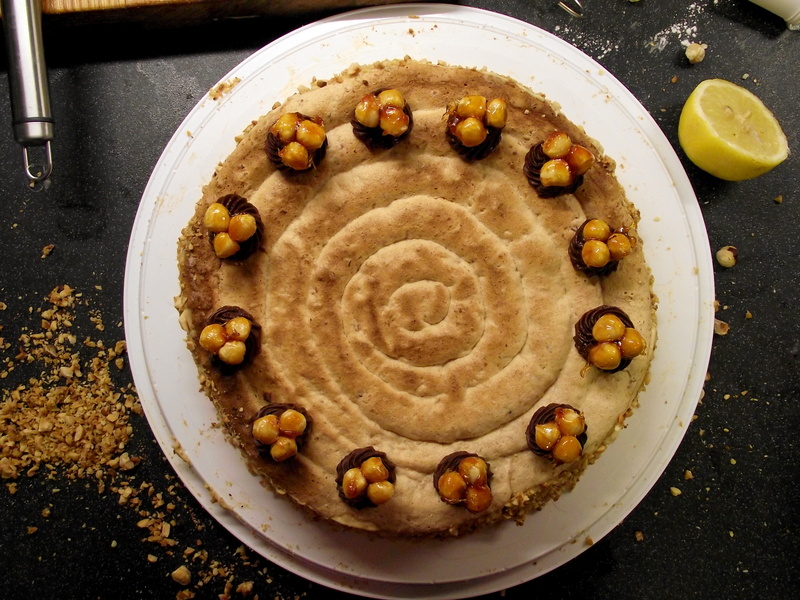 Have not tried making a hazelnut dacquoise before, this looks amazing!